If you have changed your file display colors or background images but you can't work out why one of your columns -- usually the Name column -- is still using a different color then read on. Go to Settings -> Preferences and open the Display section on the left. At the top of the list there is a special entry called Current sort field. It's the only one enabled by default. That is where the sorted column's color comes from and thus where the Name column's color usually comes from, since the display is usually sorted by name. 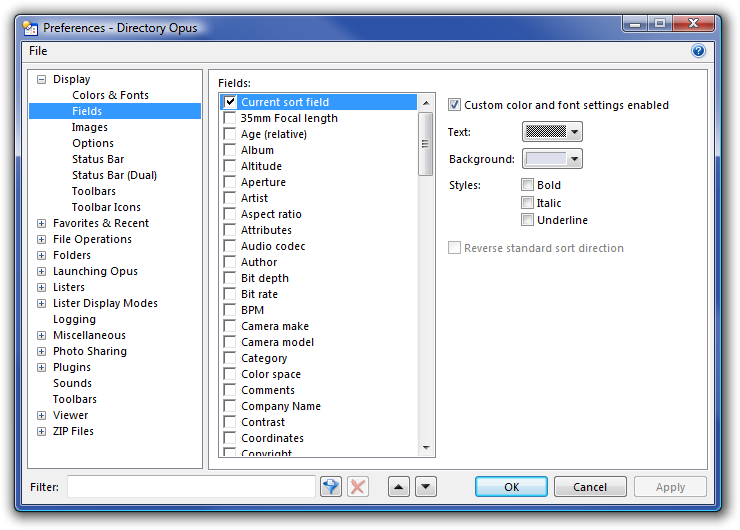 You can turn off the sort column's color by clearing the Custom color and font settings enabled checkbox. Or you can change the color by clicking on the Background color box. 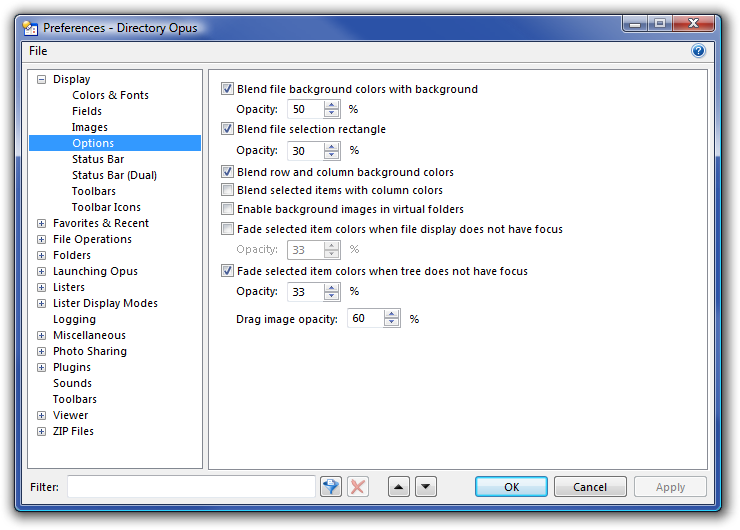 On the Options page you'll find settings which let you specify how the various file display colors are blended together. The most important option here, in terms of the column colors, is the first one: Blend file background colors with background. Experiment with that to change the way the column colors are blended with the overall background. The other settings are worth experimenting with as well to see what looks best to you.